If there’s a drink that exists, someone will make it boozy. Consider it the Rule 34 of the beverage industry. Boozy root beer. Boozy Capri Sun. Boozy kombucha. So, given the recent mega-popularity of seltzer, a boozy version of the pleasantly neutral drink was hot on its heels. And now that warmer weather is approaching, it’s poised to become even bigger, as more companies introduce new brands and flavors of the fizzy malted drink. 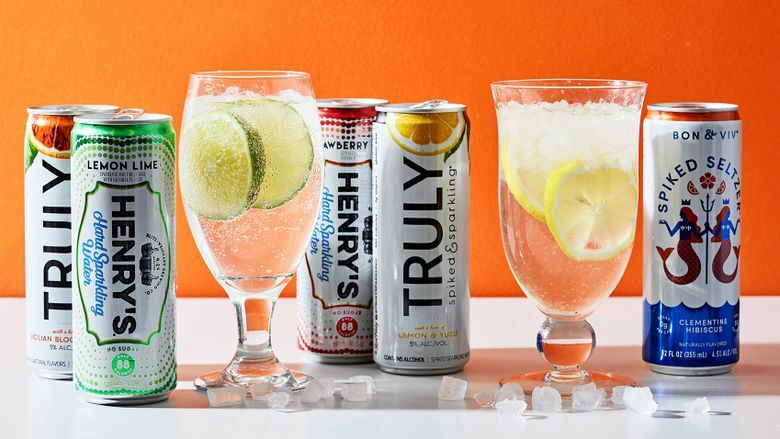 In 2018, alcohol-infused seltzer sales grew about 169 percent, to nearly $487.8 million, while volumes increased 181 percent, according to a January Nielsen report. The category now makes up 1.3 percent of total beer category dollar share. Meanwhile, beer sales have flattened out, with category-wide dollar sales growing only 0.7 percent. 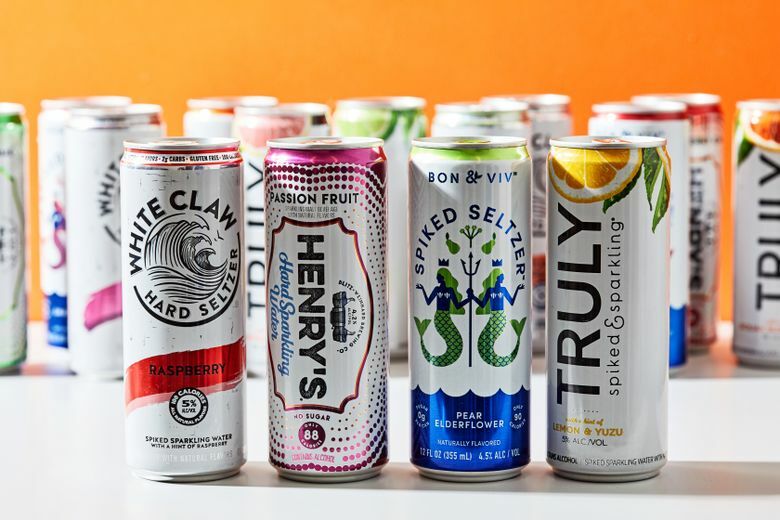 Many major beer brands already have a hard seltzer: MillerCoors has Henry’s Hard Sparkling Water; Boston Beer Co., of Sam Adams fame, shares a parent company with Truly; Mark Anthony Co., the parent company behind the Mike’s Hard brand, has White Claw; and Anheuser-Busch has the brand formerly known as SpikedSeltzer, which recently rebranded as Bon & Viv, with a splashy Super Bowl commercial. Now more brands are getting in the game: Corona announced this week that its Refresca brand of spiked seltzers would hit stores in May. The sparkling water brand Polar is teaming up with Harpoon Brewery to launch a hard seltzer line called Arctic Summer, debuting at the end of April. And smaller craft breweries such as Kentucky’s Braxton Brewing Co. and Colorado’s Oskar Blues are jumping on the trend, too. What exactly is hard seltzer? It’s a malted beverage — similar to Smirnoff Ice or Zima — or it’s made from brewed fermented sugar. The drinks are gluten-free, and they tend to be both low in calories and sugar, which has made them popular with dieters. None of the brands we sampled have more than two grams of carbohydrates. More geared toward a backyard barbecue or a trip to the beach, they sell better in warm weather but haven’t picked up much steam at restaurants. They’re also a good mixer: Make a vodka tonic with one, and it won’t dilute the drink as much. Thoughts: Okay, first impression: Clementine hibiscus has a sort of all-purpose cleaning solution smell? But you can definitely taste the hibiscus. Despite its lower alcohol content, the alcohol flavor is more pronounced in this one, sort of like a Smirnoff Ice. It’s that tongue-coating fermented sugar taste. You won’t mistake it for a La Croix or a Bubly, and that’s probably a good thing. It has the cutest mermaid branding. Thoughts: The lightest in calories and in ABV, but, like Bon & Viv, has a slightly stronger alcohol flavor. Its can looks an awful lot like a regular sparkling water, which could come in handy if you want to, uh, drink it in a public park (at your own risk; we do not endorse this behavior) (but it does camouflage well). Thoughts: White Claw is lighter in fragrance but stronger in flavor, and it doesn’t taste very boozy. Basically, it’s La Croix that gets you drunk! Thoughts: Despite having the most flavors, and a strong scent, Truly is less flavorful than the other seltzers, and this is a good thing! Too much flavor and you might as well be drinking a — gasp — soda. It’s as though an orange gave some seltzer water a fleeting but meaningful glance. You cannot taste the alcohol at all, which is going to be dangerous when you down, like, six of them at Ali’s pool party.